Because of the high cost of 3d design and the high level of technical expertise required to reliably produce perfect parts, the trend is to use specialized third-party service bureaus. In the past jewelry design was greatly hindered by difficult communication between the customer and the jeweler. The only option for implementing a new jewelry design was looking through a stock jewelry design catalogue. Whenever the customer had a visualization or idea, which was not realized in the finished piece of jewelry, the sale became very complicated. With the aid of computer aided design (cad) model making has taken a astonishing new direction. With us jewelry stores and jewelry customers can actually see their idea before the construction stage. Other important benefits to cad jewelry design are accuracy and affordability. Your jewelry design can now be manufactured with incredible symmetry since the wax model is created using our in house rapid prototyping (rp) machines. 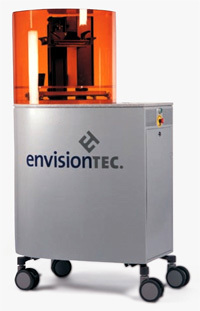 Our systems reduce cost and time-to-market by translating CAD 3d Designs into hard copy 3D models. These models are so accurate that designing artists can expand beyond concept modeling to produce tooling grade patterns ready for investment casting or mold-making. CAD/CAM allows the design of jewelry using a computer (CAD) and creates an exact hard copy model of a jewelry piece using a computer controlled mechanized device (CAM). Our technicians utilize all file types compatible with any CAM device, which allows us to rapidly generate a precise wax model ready for casting. Stereo lithography and these other hard model equipment are the future of the jewelry industry. World leading jeweler houses effectively use CAM "service bureaus" that specialize in prototype output. Our designers as well as technicians have been in the jewelry business since 1983, operating in various branches of the industry. We are some of the finest jewelry manufacturers and jewelers in the industry. Early Jewelry design commissions were often constituted by nobility or the church to honor an event or as wearable ornamentation. Within the structure of early methods, enameling and repoussé became standard methods for creating ornamental wares to demonstrate wealth, position, or power. These early techniques created a specific complex design element that later would forge the baroque movement in jewelry design. With our fist-hand knowledge and experience throughout the jewelry manufacturing process from start to finish, we deliver quality. Waulity is the essence of a good business. This is the primary consideration that a jeweller expects. When jedwelry is desinged in 3d, the precision is unsurpassed. The 3d design process i superior to any handcrafted item and allows designers a vast pallette of options.